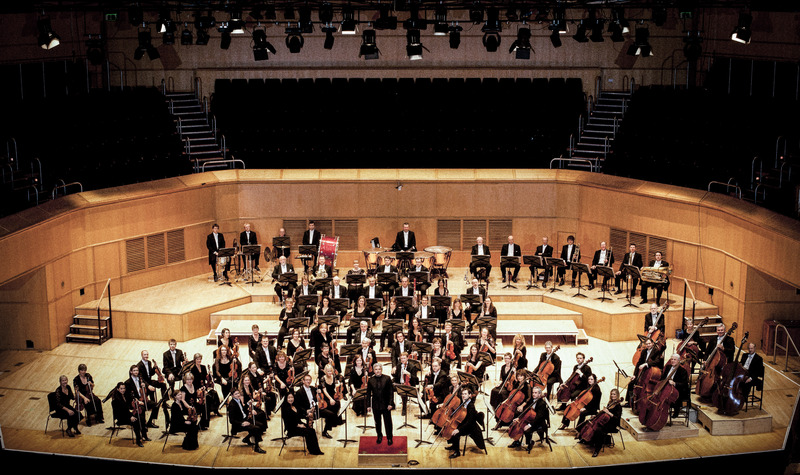 Throughout its 125 year history, the Royal Scottish National Orchestra (RSNO), awarded Royal Patronage in 1991, has played an integral part in Scotland’s musical life. Many renowned conductors have contributed to its success, including George Szell, Sir John Barbirolli, Walter Susskind, Sir Alexander Gibson, Neeme Järvi, Walter Weller, Alexander Lazarev and Stéphane Denève. Intermusica began its association with the RSNO in 2012 when it took the orchestra on its highly successful debut tour of China with Principal Conductor Peter Oundjian and continues today is assisting with developing the RSNO’s international profile. 皇家苏格兰交响乐团是一支具有125多年历史的乐团。1991年乐团受到了来自皇室的赞助，并且在苏格兰的音乐发展史上担任不可或缺的重要角色。许多著名的指挥家和作曲家都为乐团如今的辉煌贡献了自己的才华，其中包括George Szell, Sir John Barbirolli, Walter Susskind, Sir Alexander Gibson, Neeme Järvi, Walter Weller, Alexander Lazarev 和 Stéphane Denève. 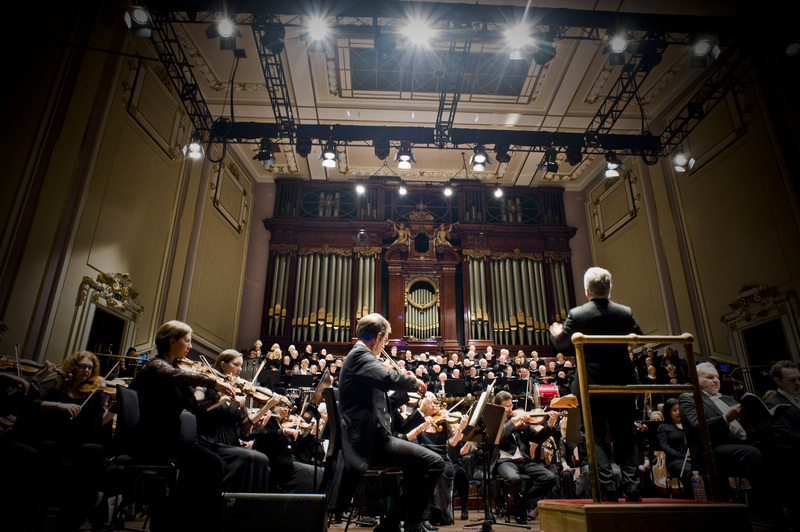 The RSNO performs across Scotland, including concerts in Glasgow, Edinburgh, Dundee, Aberdeen, Perth and Inverness. The Orchestra appears regularly at the Edinburgh International Festival and at the BBC Proms at London’s Royal Albert Hall. Recent appearances in England have included performances at Manchester’s Bridgewater Hall, Leeds Town Hall, The Sage, Gateshead and at The Sands Centre, Carlisle. In 2012 it undertook a week-long residency in Shetland as part of the Cultural Olympiad, providing the most northerly UK cultural activity leading up to the 2012 Olympic Games. The RSNO regularly appears at the St Magnus Festival, Orkney, and has made recent tours to France, Germany, Spain, Austria, the Netherlands, Luxembourg and Serbia. After a hugely successful debut tour of China over New Year 2012/13, the Royal Scottish National Orchestra brings the spirit of Edinburgh's Hogmanay New Year celebrations back to Asia over New Year 2018/19. Joining them will be the world famous Scottish violinist Nicola Benedetti and works will include Debussy's March Ecossaise and Bruch's Scottish Fantasy. 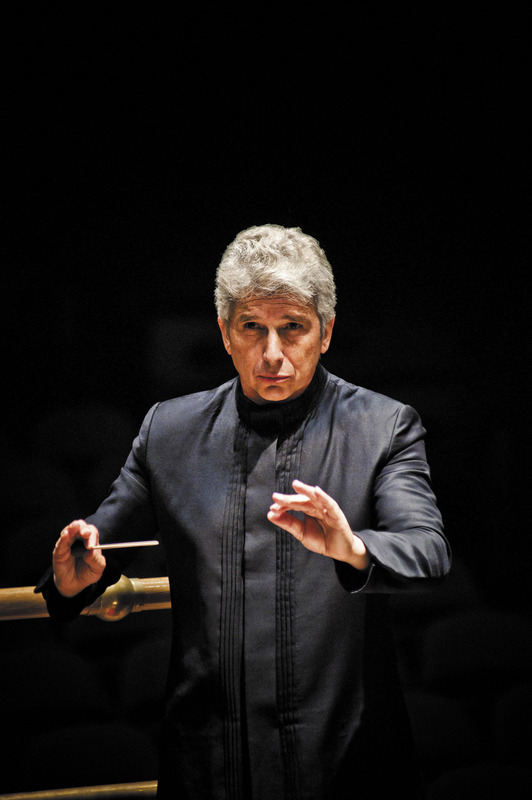 The RSNO tours in Spain, led by Principal Conductor Peter Oundjian and joined by pianist Ingrid Fliter. Hogmanay 2012 saw the Royal Scottish National Orchestra embark on their first tour to mainland Asia, with music director Peter Oundjian. The tour comprised of six concerts in five cities including Beijing, Shenzhen, Guangzhou, Tianjin and Macau. Celebrating in true Scottish style, the orchestra performed a programme including Mendelssohn Symphony No.3 'Scottish' Op.56 and Maxwell Davies An Orkney Wedding, as well as Elgar Enigma Variations Op.36. The National Youth Pipe Band of Scotland also joined the orchestra on stage for encores, providing a unique experience for Chinese audiences. The tour took in Guangzhou’s Xinghai Concert Hall and two concerts in the Shenzhen Concert Hall on New Year’s Eve, the second concert a New Year gala with Polkas and Waltzes by Strauss and Khachaturian as well as music by Li Huan Zhi and Maxwell Davies. The RSNO’s first concert of 2013 took place in Beijing on 2 January in the National Centre for Performing Arts. The orchestra gave their final concert of the tour at Macau Cultural Centre which will feature Mendelssohn and Maxwell Davies, concluding with Stravinsky’s The Firebird Suite (1919).